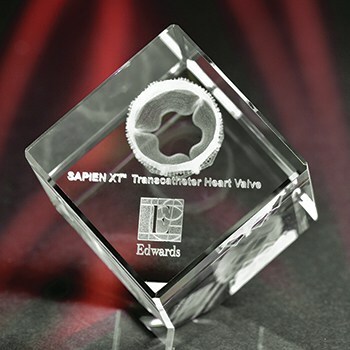 Our most popular shape, the jewel cut cube is perfect for almost every gift or award occasion. With its face tilted up at the viewer, it presents a diamond shape to the recipient, adding to its already substantial perceived value. A one-time price of $14.71 will be added to your order.